Today, the majority of our work encompasses larger commercial projects, shopping centres, and high rises. Zenith not only accepts difficult challenges but thrives on them. Although we primarily conduct business in Texas, we also offer roofing services throughout the Southwest United States. Zenith Roofing Services has committed to a long-term investment in the roofing industry. We hold the distinction of several firsts in the Texas market. Allan Rodger formerly served as president of the NTRCA, where he wrote several articles recommending the importance of roof maintenance; versus the only two options offered by most companies: repair or re-roof. This was the start of a very important branch of the company – the Zenith Roof Smart Program. The first of its kind in Texas, the Zenith Roof Smart Program offers extended warranties combined with preventative maintenance programs tied to reaction time guarantees. Our history has taught us the importance of quality, service, and communication. 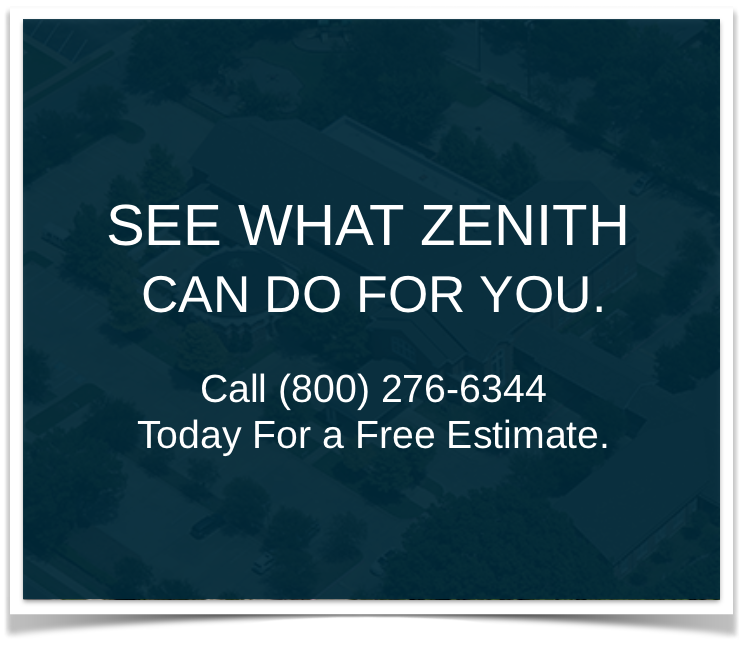 With over three decades in the roofing industry, Zenith offers outstanding expertise & unmatched customer service.